​​Below are some lovely images of the birds showing off their good looks and a bit about each of them. Our young Harris hawk (Parabuteo Unicinctus). Recognised as the 'Wolf of the Sky', the Harris is a true hunter both solitary and in a cast (pack). A great hunter and a wonderful, friendly display bird. The mischievous and stunning Tawny owl (Strix Aluco). 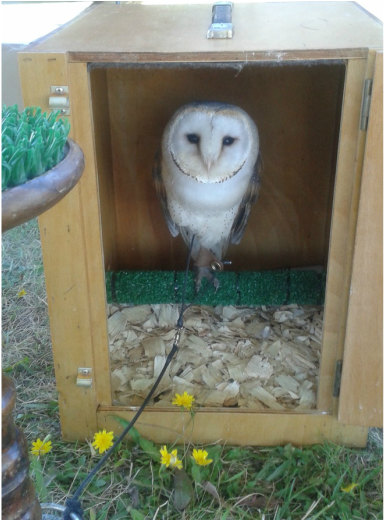 Mr. T is both the youngest owl and member amongst the team. Since a chick he has had affinity with the sky, from climbing every scalable surface (including legs! ), he has quickly developed into a superb little flyer. 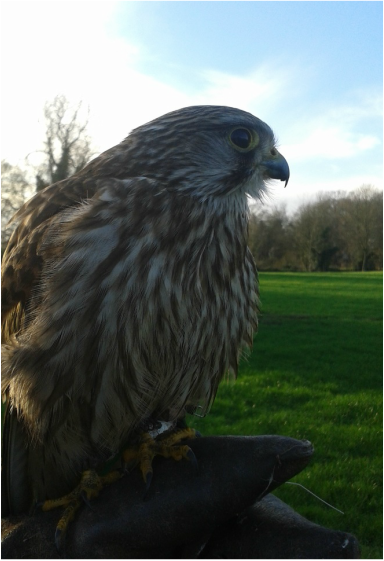 The team's first falcon, albeit Britain's second smallest, the Kestrel (Falco Tinnunculus). A keen flyer who loves nothing more than exercising against the falconer in attempt to catch a lure. 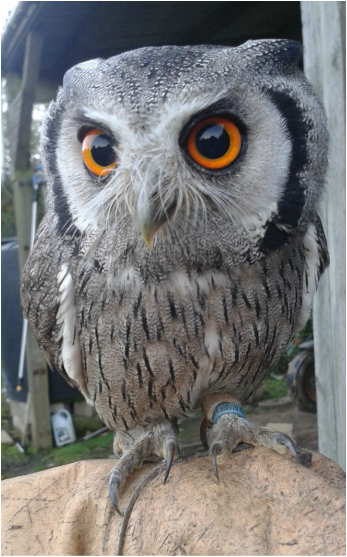 The cheeky Ashy Faced owl (Tyto glaucops), having joined the display team, he has quickly become a great asset and a display just wouldn't be the same without his cheeky character. A true showman, Nova loves flying to people on experience days and getting to show off in front of a crowd. Our beautiful male Snowy owl (Bubo scandiacus) and the youngest member of the team. Luna is currently sporting his juvenile spots, but when he matures he will be almost completely white. Having spent the summer growing and training, he has now started to attend shows and experience days. The older, yet rather shyer of our two British Barn owls (Tyto Alba). The 'Ghost of the Night' displaying the silent flight and not-so-silent screech of this beautiful species. The serene Southern White-Faced owl (Ptilopsis Leucotis). The team's smallest bird but most certainly not the quietest. A rather shy flyer but perfect for close encounters where she is guaranteed to melt the hearts of everyone around. Currently our largest owl, the African Spotted owl (Bubo Africanus). One of the smallest of the eagle-owl genus but with an impressive wingspan nonetheless. The younger of our two wonderful Barn owls. 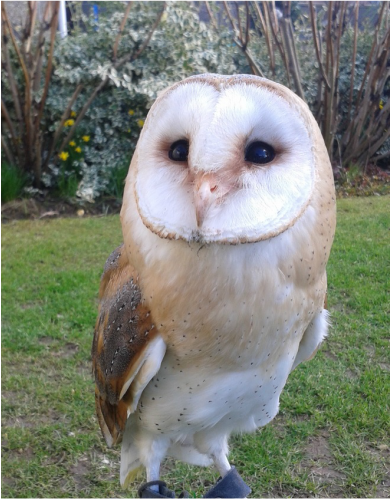 After an unsure start in the world, Casper has grown into a stunning and confident young bird. He has quickly passed through his training and is now pleasing crowds in flying displays and with his cheeky personality. Casper has also been given the duty of fronting our ring bearing services. 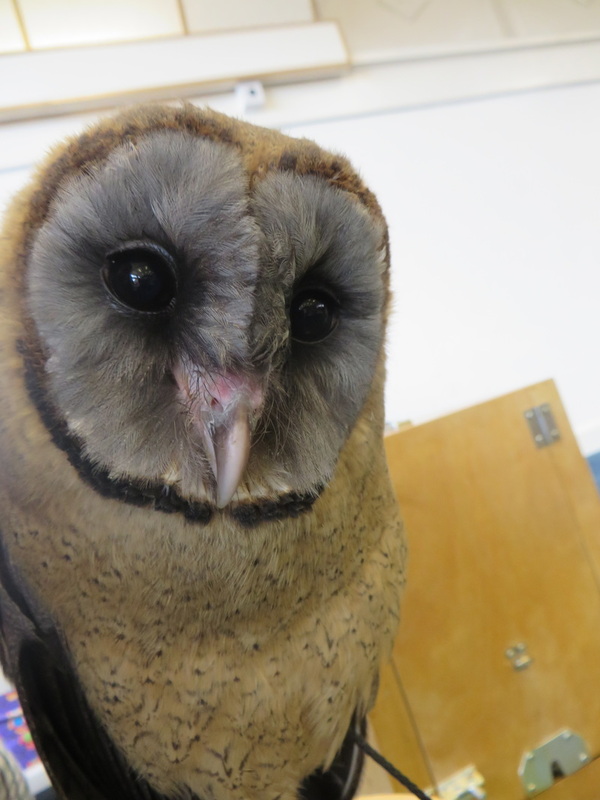 The incredible Asian Brown Wood owl (Strix leptogrammica), Mozart. 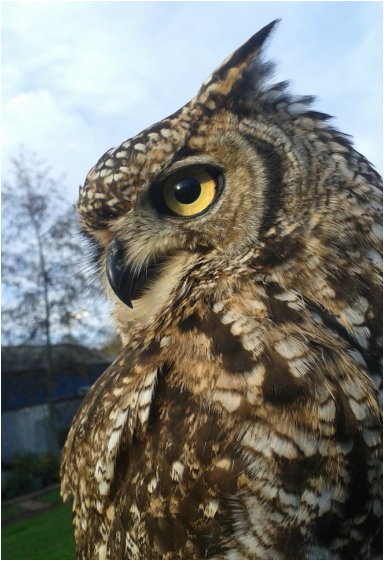 One of our more feisty owls, Mozart has become well known for his beauty and mischievous behaviour. He prefers small encounters to attending large, busy shows, and he will begin his training for photoshoots in 2017! 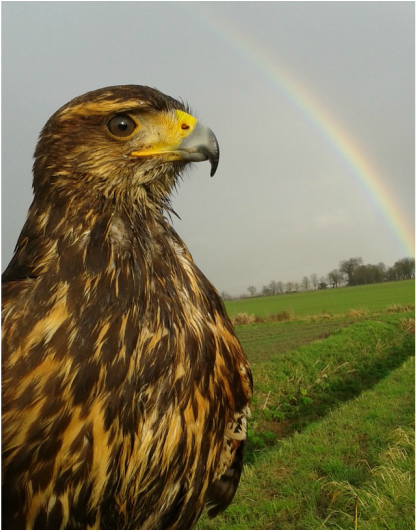 Our Stunning female Harris hawk (Parabuteo Unicinctus), Alanna. After a break from attending shows, Alanna has rejoined the team and is now in the process of slowly being reintroduced to the excitement. We are currently spending a lot of time making her feel comfortable with as many situations as possible so that she'll be able to attend and enjoy shows and experiences in the near future!